Patlabor TYPE-J9 Griffon , a great product from Diamond is essentially fun to play with. One of the several best features is the 43 articulation points and 12 joint parts. Additional features consist of size approx 6" tall. 875631002576 is the manufacturer's number for this product. It's dimensions are 7.5"H x 5.5"L x 3"W. It has got a weight of 1 lbs. Imported from Japan! 'Revol Tech Joint' is an innovative joint system that enables a figure to demonstrate any sort of realistic pose. 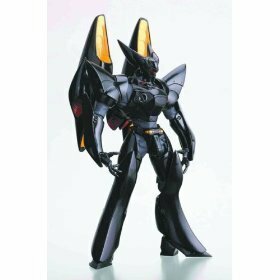 Standing 6"tall with 43 articulation points and 12 joint parts, the Revoltech Type-J9 Griffon comes equipped with interchangeable accessories and parts like 1 revolver cannon, 5 optional hands plus a display base. 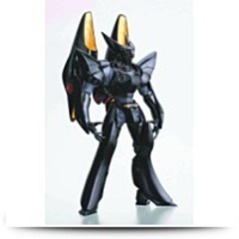 The ultra sleek black mecha Type-J9 Griffon [Aqua-Unit], piloted by 15 year-old boy from India, Bud Renard, comes from the famous anime action series Patlabor: Mobile Police. comes equipped with interchangeable accessories and parts like 1 revolver cannon, 5 optional hands and a display base. Dimensions: Height: 7.5" Length: 5.5" Width: 3"
Package: Height: 2.6" Length: 7.4" Depth: 5"